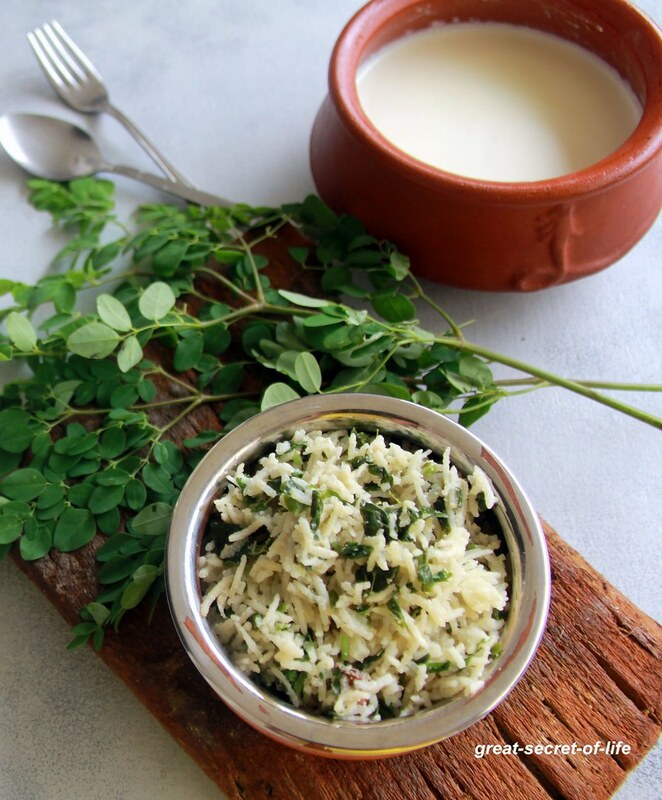 In recent days our own Murungai keerai has become a super food. I see Moringa seeds everywhere and it is quite expensive. Most of the time I do Poriyal with Murungai keerai. 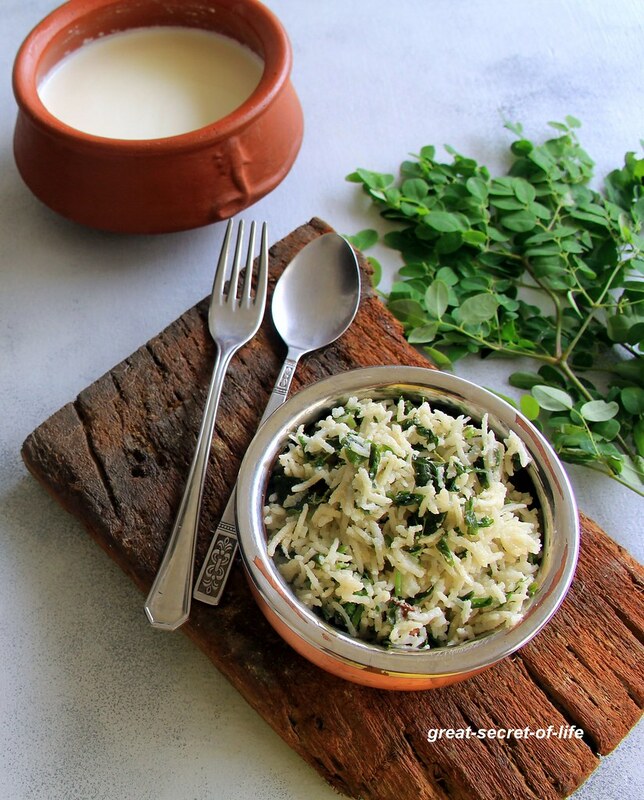 It tastes good only with loads of Small onion however these days my son doesn't eat onion so I needed to find some other recipe to incorporate this super food. I have tried couple of variations so stay tuned for more recipe. 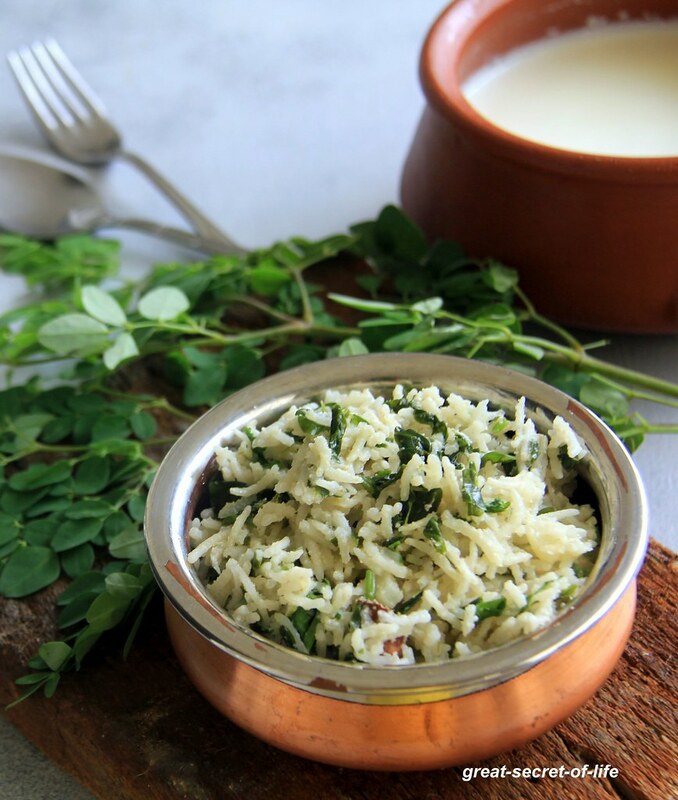 In this post I will share the recipe for Pilaf / Pulav. In this I have used 1.5 teaspoon of Poppy seeds. It really enhanced the taste of the rice and recently I have read few articles about the nutritional value of Poppy seeds. But you don't have it or want to avoid it you can leave it. Soak Poppy seeds, Melon seeds, Fennel seeds for 2 hrs. Grind it with Coconut, Green chillies, ginger to smooth paste. Heat pan with oil/ Ghee. Add Cinnamon, clove, bay leaf, cardamon and fry till nice aroma releases. Add grinded paste and fry for a min or 2. Add garlic and fry for a min or 2. Add washed moringa leaves and fry for a min. Add rice and mix well. Add 3 cup of water, Rose water and required salt. Cook it with lid closed. Add coriander leaves mix well. Very different rice and liking all those flavors, would love to try this soon..